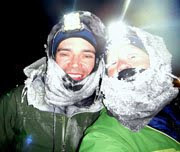 I'm back from the 24 hours of Kincaid race - long, dusty, hilly. Surprising technical stretches. Moose on the trail. Hills. Psycho porcupines. Deteriorating judgment. Long. Not that I'm nearly lucid enough right now to post a race report. The race organizers haven't posted the race results yet, but I surprised myself with my progress. 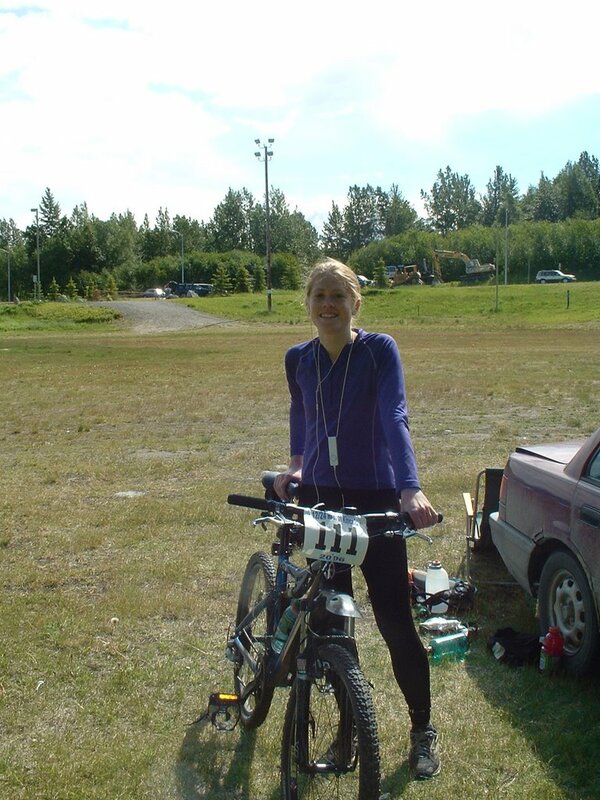 According to the last updates I saw before I left Anchorage, I placed anywhere from third place to sixth place among all solo 24-hour cyclists, with the top finisher at 22 laps, second place at 19, and three others that were near me at about 16. Out of two solo women, I actually came in first by several laps. Hopefully they'll post the results on the Web site soon. For 22 hours and 55 minutes I pounded out 16 loops, at 10.5 miles a piece. I kept a consistent pace throughout the race - my fastest loop was 1 hour, 12 minutes and my slowest was 1 hour, 23 minutes, and I took a 5 to 25-minute break between each one. Besides somewhat debilitating but temporary stomach cramps and a sideways fall over an especially rooty stretch of trail, I felt pretty good and strong throughout the sleepless night. But sleep is what I need most right now; I'll fill in the details tomorrow. Have a good sleep Jill, and good on ya! Regardless of whether you are first or last, just finishing a 24 hr is an accomplishment! solo is definitely not for me! You rock! Now go get some sleep. Way to kick some serious 24 hour A$*!!! Congrats! Enjoy the overwhelming feeling of accomplishement, you deserve it. And when you get back on your bike... remember... it'll be a little easier next time! Congrats. Not sure how you do it, but my hat off to the suffering. Congratulations, on your awesome journey through time. Definitely a Soggy Bottom worthy effort. Be proud! It takes a certain amazing character to accomplish what you have done. Congratulations! That's radical! Congrats on your awesome performance!